Product code: 538 Categories: Sold Items, Sold Watches. 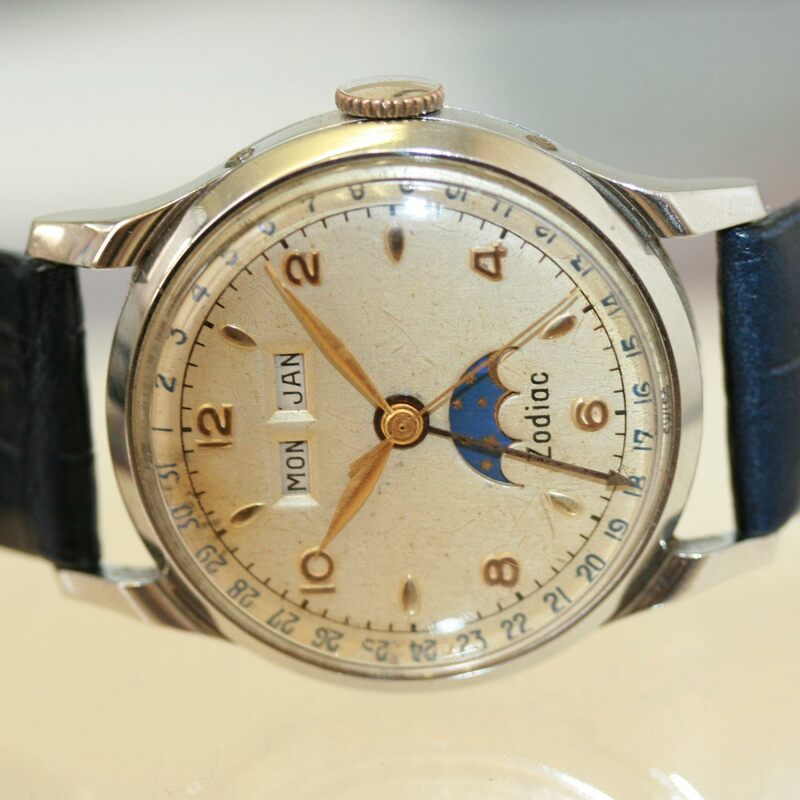 Made in the 1950’s, this Zodiac Triple date watch with Moonphase function looks fantastic on the wrist. 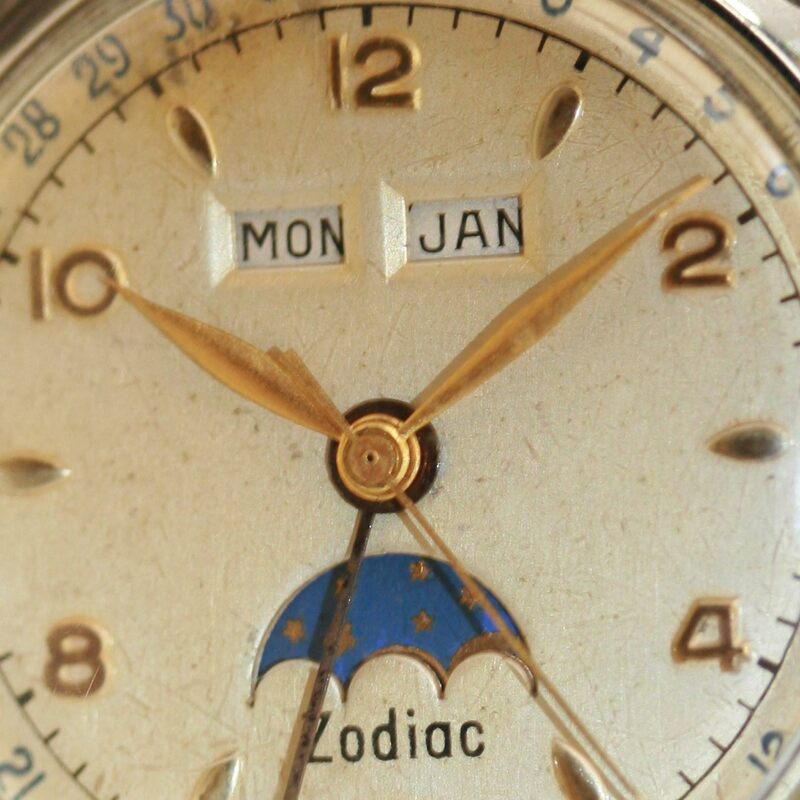 With a dial that is complicated yet easy to read it is a dial that is aging well.